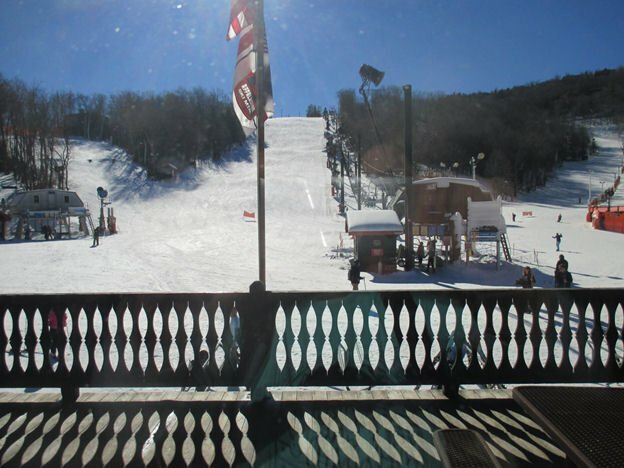 Home Appalachian Ski Mountain The Ski Season is back…Time to take a lesson. 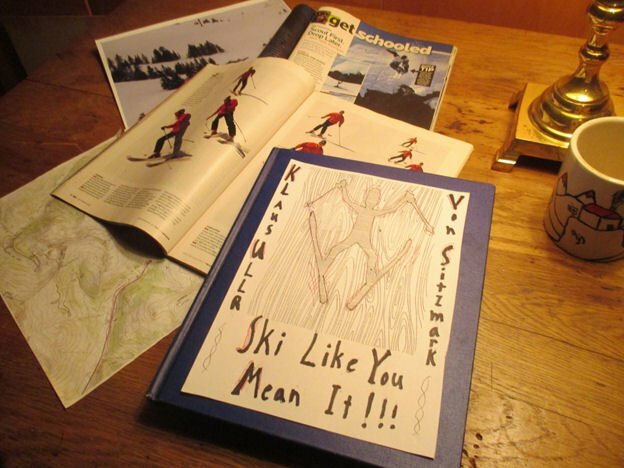 The Ski Season is back…Time to take a lesson. Martin Luther King weekend is upon us and every resort in the area is open and steadily increasing their trail count. Frankly THIS feels more like the start of the ski season. Winter 2015 was just a bad dream so wake up now, have a cup of coffee and start making your plans. High on your list of plans should be ski lessons, whether for yourself, your children or your beloved partner. Have you ever sat on the patio of a base lodge and watched in amazement as a skier flailed wildly down a crowded slope toward certain catastrophe? A blurred outline with a flapping coat and a trail of hat and goggles rockets downhill nearly seated in a snow plow position; which, against all laws of physics, is actually causing him to accelerate. Sensing danger, the crowd parts before him and he finally plunges head first into a fully stacked equipment rack triggering an avalanche of skis, snowboards and unwitting bystanders. Don’t be that guy. Or have you ever seen a couple, one of them an “experienced” skier (usually a male), trying to assure a furious partner that she “can do this” but staying just out of reach of a pole swing? That is no way to build a relationship; although, if you are trying to get out of a relationship, it can be an excellent start. And of course there is always the parent (usually a Dad) chasing madly after a small frightened child, pointlessly yelling “Pizza! Pizza!! PIZZA!! !” as their son or daughter flies off the trail’s edge and into the trees? Is that how you want to be remembered? You will give your children plenty of fodder for therapy in years to come without also wrecking their vacations. As we all know, skiing is not cheap. The fact that so many of us do it despite that cost is a testament to how amazing it is, and it remains considerably cheaper than flying lessons. The cost of ski instruction is negligible in the overall balance of a ski trip and is a certain way to improve the experience. If you are a parent this is truly a no brainer. Speaking from personal experience not only did my sons learn much faster than they would have with me, but it breaks up the day. It was an added dose of cocoa and fun that we would talk about and build on during our later runs together. It made them much better, much quicker and they were positively beaming about their new skill. As for adults, if you’ve never skied you should do everything you can to make things as painless as possible, those first days can be…let’s just say challenging. If you already know how to ski remember that even World Cup athletes have coaches, and probably no one reading this is a World Cup skier, at least not yet. DO be a line cutter. Have you ever noticed while waiting in a long lift line that some people are getting special treatment? There you stand with your toes getting cold and off in the distance right by the lift shack small groups of common looking skiers are just skiing right onto the lift. Those people are the ones taking a lesson, and not only are they getting better than you but thanks to their ski school status they are making way more laps. This is a benefit especially valuable during busy times like the approaching MLK weekend and can be maximized with a private lesson. Another piece of voodoo is the private/group lesson; this magical phenomenon only occurs on slower days, especially weekday mornings. If you head to the scheduled group lesson meeting area and happen to be the only one there you get the benefit of having the instructor all to yourself, and on midweek mornings most of the mountain to yourself as well. This happened for my sons’ first lessons at Cataloochee. 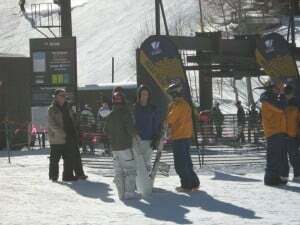 Later when they were teenagers during their first trip to Colorado, they ended up spending a half day morning lesson alone with an amateur free style champion who was instructing at Winterpark; it almost felt like cheating. And always, TIP YOUR INSTRUCTOR; as a rule they do not make a lot and rely on those tips. Personally, I have never seen anything but smiles and positive attitudes on the part of the ski school staffs at southeastern resorts so I’d say they deserve it. There it is, I’ve made my case for taking a lesson and because I wouldn’t want to be called a hypocrite; I took my own advice. If I ever took a lesson in my childhood, four decades of face plants and low hanging tree limbs have knocked the memory clean. For years I have toyed with the idea of mending this, if only to determine whether in fact an old dog can learn new tricks; but laziness and inertia always got the better of me. Also, I am not particularly amenable, I have always had difficulty with anything that resembled a mentoring relationship, and I generally don’t follow instructions well. With that in mind I asked Mike Doble if he knew of someone in the area that might undertake the challenge “of an older skier somewhat set in his ways”. Perhaps sensing this would be a demanding task, he suggested one of the pioneers of southeastern ski instruction, Jim Cottrell (Jim, now you know who to blame). So I contacted him and was somewhat nervous when he responded immediately and said he would love to help. This was an intimidating prospect because Jim is truly the real deal and if he couldn’t help me I knew my case was hopeless. 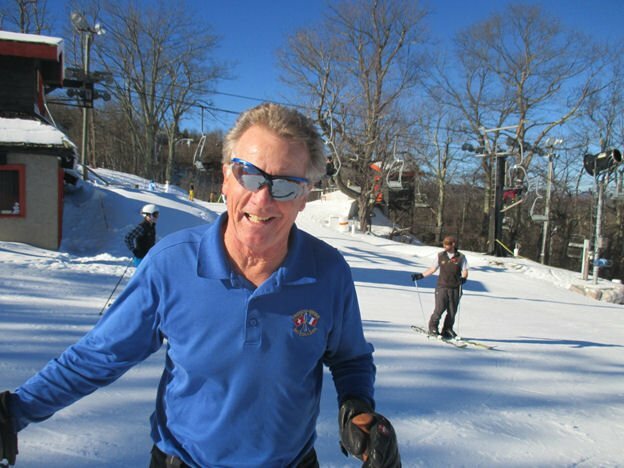 Jim Cottrell and his friend Jack Lester founded the French-Swiss Ski College at Appalachian Ski Mountain in 1968, which is now an icon of Southeastern skiing. 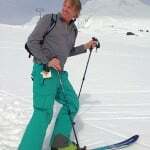 Jim has integrated skiing into college credited courses for decades, taught skiing to Green Berets and Navy Seals. He counts among his friends two heroes of mine, Jean-Claude Killy and Billy Kidd; he and Kidd served on the International Advisory Board for Special Olympics and have taught clinics together. Cottrell organized the first North Carolina Winter Special Olympics and Special Olympics and its instruction is a passion that comes up often in conversation. I would add that this is a very partial list of his impact on skiing here and nationally, and he was reluctant to dwell on his achievements even when asked. To spend the better part of an afternoon learning from Jim, and just sharing conversation, was a rare experience; first hand stories and tips from Killy and Kidd were also high on the scale of Awesome. This was all last Thursday and a bonus was that I made my first visit Appalachian Ski Mountain which had reopened 100% of its trails that day. I have to say too that App is an ideal learning mountain. The consistency of the snow on the main slope even after an afternoon of warming was flawless. Also, while it was not a crowded day, the ratio of Instructors moving around the slope ready to teach was sort of mind boggling; as in the picture above that I took of Jim, notice that the two random people you see in the background are both instructors. If I shouted “Help I need a lesson,” I might have been buried in a sea of uniformed French-Swiss staff. I recorded most of our session. Jim is very considerate and thoughtful in what he has to say so I’m glad I have it down accurately, although some audio I lost to wind and lift clatter. That is something I’d urge anyone to do, record your lesson for future reference; if you own a GoPro this would be a perfect time to use it; it will be a lot more illuminating than the next rad park edit. And work with me he did. I have always wondered how much difference a lesson could make for a long time skier, but I have to say that at least with a teacher of Jim’s caliber, it can make an immediate improvement; and I want to keep working on what I learned as soon as I’m back on the slopes. A lot of what he told me was obviously subjective but I think a great deal of it is useful to anyone with intermediate skills. So let me share several of his specific remarks. And if you want a good exercise to keep yourself ski fit here is one Jim said he learned from Jean-Claude Killy and does every morning. He said the focus was on core strength, that toning your gut was more important than your quads; I tried not to feel judged by that remark and I tightened my belt as inconspicuously as possible. Still, perhaps I should follow up and try some of the vegetarian recipes that Jim shared with his friend Jean-Claude back in the day. That change in diet apparently coincided with his post-Olympic World Cup run. Thanks to Jim Cottrell and to all of you still following this …. Now go out and take a lesson!! Previous articleMLK Weekend is Upon Us! Next articleThe Best Day of the Season So Far…today.